At the Northeast Region Conference, the American Heart Association's CPR/AED training course will be offered on Friday, November 16th 6PM - 9PM and a First Aid training course will be offered on Sunday, November 18th 9AM - 12PM. 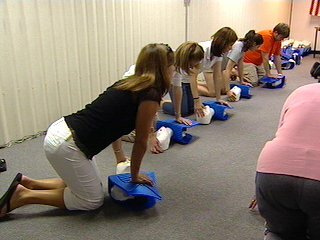 These training courses are very beneficial for chapters in need of meeting their travel team requirements or for individuals desiring CPR or First Aid training. Participants will receive all necessary materials to complete the training courses. The rates are $55 for either training course and $80 for both courses. Registration deadline is Friday, November 9th. No last minute registration. If you have any questions, please contact Nicole Ostrowski at workshop@ewb-northeast.org.